The first day of our Caribbean adventure consisted of flying into St. Lucia around 1:00PM, renting a car and driving up to our AirBnB apartment. Well, essentially, in actuality is was a bit more complicated than that. When we went to pick up our car we realized none of us had credit cards hence couldn't place the deposit and couldn't rent the car. After 20 minutes of puppy eyes and a phone call to the supervisor we finally convinced the desk lady (who suffered from major resting b*tch face) to let us place the deposit on a debit card. We began the initial inspection of the car when suddenly I realized I didn't have my laptop on me. I can't even begin to explain the panic that started to take over me at this point. Like a scene out of a movie I ran through all security and customs check points just to find out the plane had already turned back and left. I explained, or at least tried to (it was more like word vomit) to anyone who would listen that my laptop was on that Airbus A320 and I literally couldn't live if I lost it. A man from the same flight took pity on my truly sad state and asked me if I was coming from New York. When I responded yes he restored life back into my body by telling me he saw the flight attendants take it out and that it should be somewhere in the airport. While hugging my laptop as tight as I could I walked back to the car where I was greeted by a round of applause (brother and bf for recuperating my laptop) and a broken, mega warm AC. 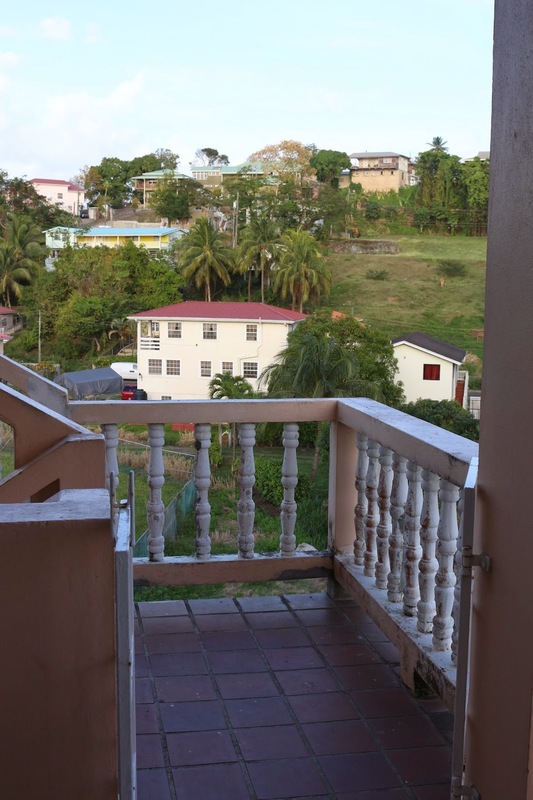 We started our journey up to Castries, where our apartment was, but got lost about 35 times before we were on the right road and on our merry way. Side note: Dear St. Lucian government, please consider investing in some SIGNS for your roads soon. Sincerely, The People. Needless to say things were a bit more complicated due to the fact that in this stunning caribbean island you drive on the LEFT side of the road and drivers sit on the right...just like London expect 300 degrees hotter and NO SIGNS on any road (emphasis on the latter). When we finally reached the apartment (which was such a HALLELUJAH moment) we settled in and headed out for food immediately since none of us had eaten anything since breakfast, unless you consider a half-empty bag of chips food. But of course this was also no easy task since after all it was Easter Sunday and almost everything was closed. We circled around aimlessly as none of us knew where the hell we were going, until we came about this little place off the Castries-Gros Islet Highway (we later found out) called The Wharf. It was overlooking the beach and they served hot food, what else could we ask for at this point? This is where we met Lisa (nicest Lucian lady I mentioned in my last post) and after her we didn't feel so lost. She equipped us with a map and so many suggestions on places to eat for the next few days. It certainly didn't feel like we cruised right into paradise but I must say, looking back on this crazy day, I'm happy we did things this way because it makes up for the wild adventure that traveling should be. Sure we weren't out of the airport and on to cabanas by the beach with piña coladas in hand but it made for a funny story to tell our kids when reminiscing on that time we ventured out to St. Lucia. Oh, and the whole local thing, we mastered it!